Disclosure: My family and I received free tickets to enjoy the park, however, I was not asked to write a post or share a thing. I just did because Disney is Life and everyone needs some tips on how to enjoy some Pixie Dust. 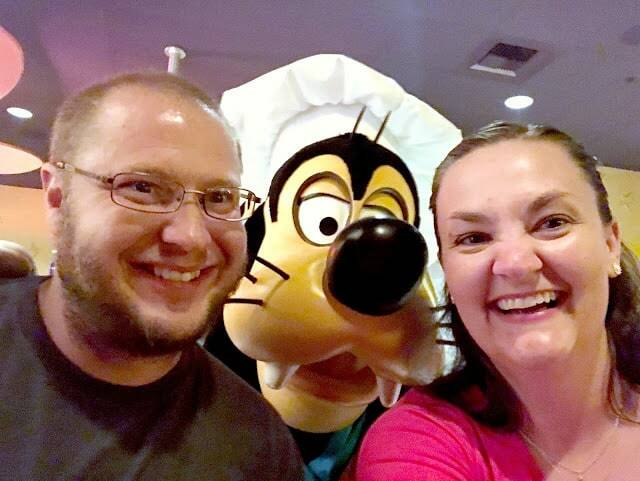 I cannot believe that it has already been nearly two weeks since we took our crazy 32 hour road trip to Disneyland! You guys, we had the best time, even though we only had one day in the park to take it all in during peak season! 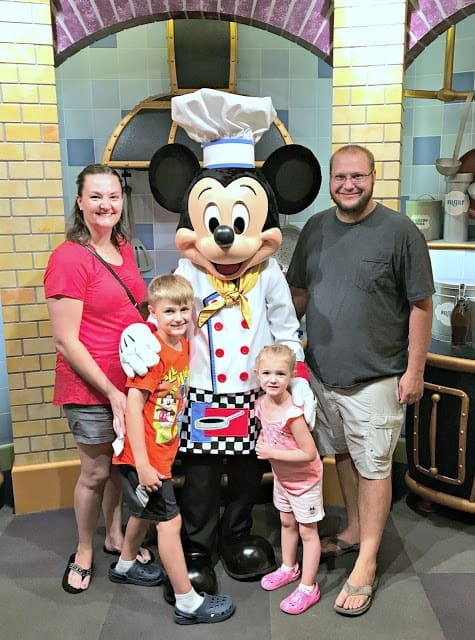 I thought I would share some of our vacation photos and some tips on how to get it all done in one day! We literally had 1 day to go to both Disneyland and California Adventure. We purchased the 1-day park hopper passes and on our long drive west we made a list of absolutely must do’s when we were in the park. 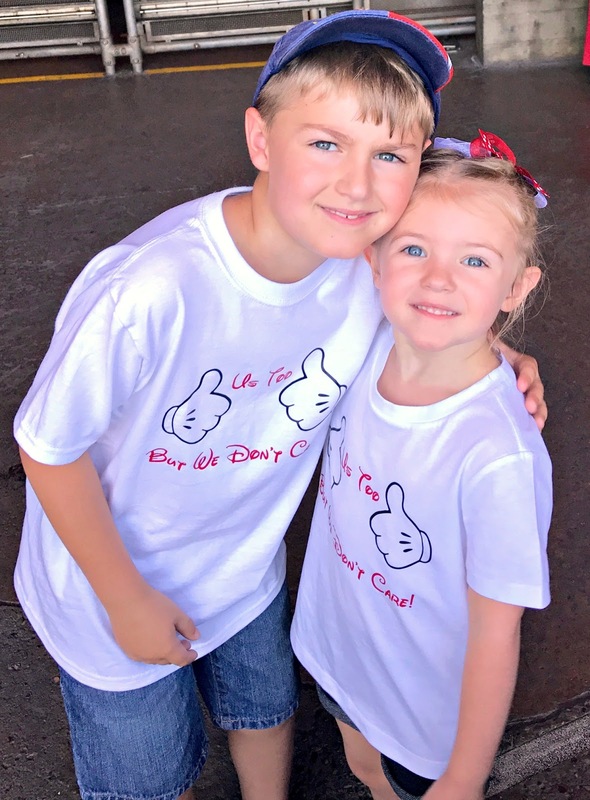 Since this was our second time as a family going to Disneyland, we had a pretty good idea of what we really wanted to do and things that we were ok skipping if we had to. 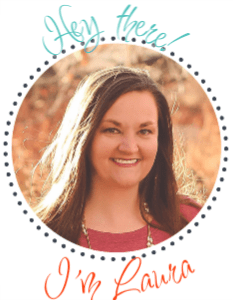 I do have a couple tips to share with you, if you are in the same boat as we were. 1. Schedule Character Dining: We have done this every single time we have been at a Disney park and it has been worth every single penny. The food is always great, you get photos with the characters without a line and by doing this you will not be using valuable line time for rides to wait to take photos with some of your favorite characters! We went with Goofy’s Kitchen the night before we headed into Disneyland and it was perfect. After 15+ hours in a car, we were so ready to sleep, but the minute that we got into the restaurant the fun started and we were all laughing, eating, and building the excitement for the following day. 2. 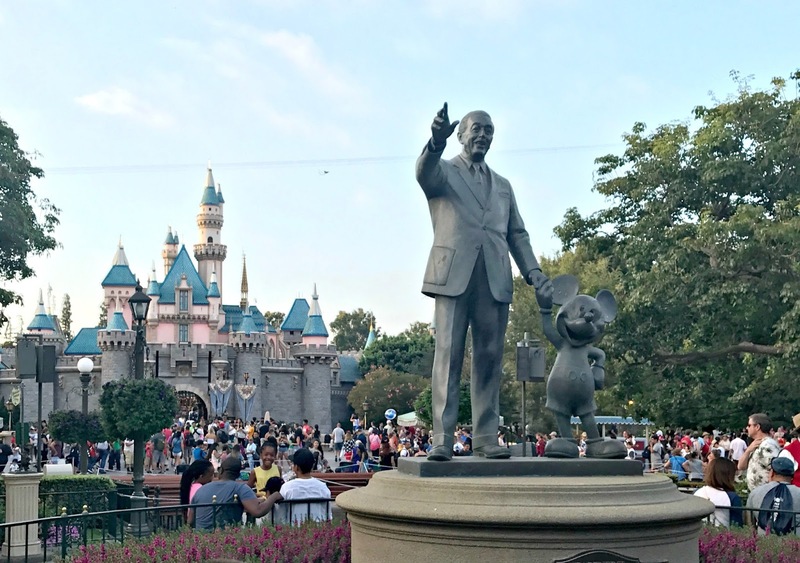 Fast Passes and Park Hopper Tickets: I swear every single time I return to my home away from home the fast pass policies change. Bottom line, get them use them and plan accordingly. My advice is to download the Disneyland app and watch it for a few days/weeks prior to your attendance date. Figure out which rides have the longest wait times and plan out your fast pass attack then. Fast passes are actually connected to your park ticket now and although you go to the kiosk (like you see above) to insert your ticket and receive your passes, the fast passes that are printed are just a back up of sorts now. 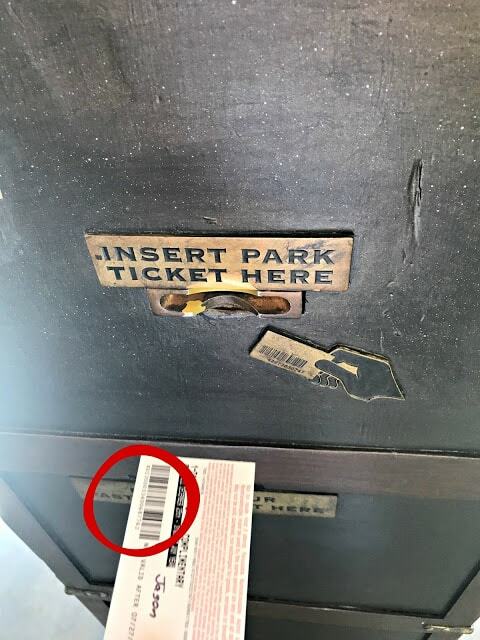 What really matters is that your park ticket scans and if it wont scan then the fast pass barcode number MUST match the barcode printed at the bottom of the fast pass. We learned that there was some serious fast pass black market business happening and people were digging out fast passes from the trash and selling them for like $50.00! In addition, if you are limited on time and want to see as much of the parks as possible, you will need a park hopper ticket. For Disneyland in particular this is so important because the parks are literally right across from each other and hopping from park to park takes less than 5 minutes (including walk time). You can also set up fast passes in both parks from your phone on the Disneyland app (using Max Pass), which if you are park hopping, this is a great way to get even more out of your tickets! 3. Make a Park Plan: We had a long drive to do this, but most people actually plan their Disney vacations with a little more time. If you are going during peak days where crowd indexes will be high and wait times will follow, you must have a plan. You can use the Disneyland app to look up all that information and make a list of rides and attractions that you must see and do. 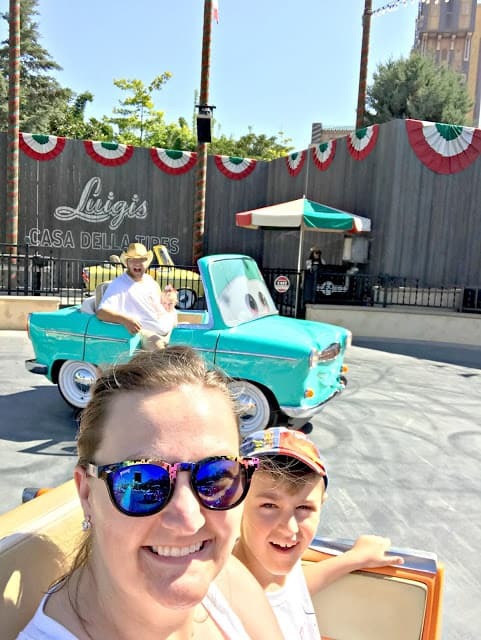 For us we absolutely had to hang out in Cars Land and ride the Radiator Springs. That was number one on our list. We got to the park at opening, headed straight to the fast pass line and got our passes, then we grabbed breakfast and once we were done we were able to walk right onto the ride. 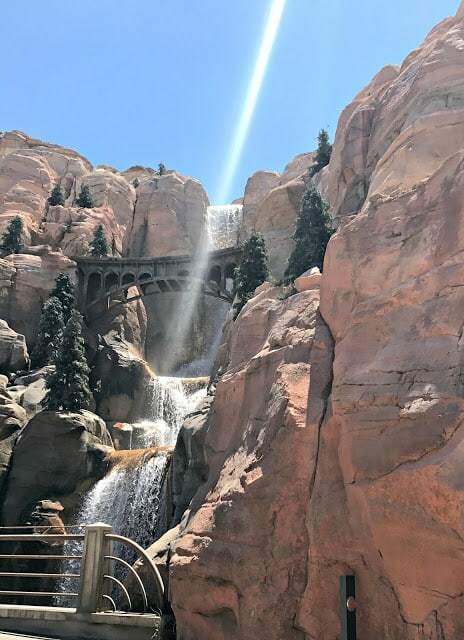 The Radiator Springs Racers will run out of fast passes quickly and it is worth the wait honestly. The ride is spectacular and although I was recovering from surgery, it was not painful in the least to ride. It is a smooth ride, with stunning views and a great race at the end. We rode this twice and both times our kids came off the ride smiling from ear to ear and laughing a ton! Bottom line, if you are going to the parks during their peak time, you need to get fast passes or you will be waiting in lines more than you will be enjoying the park. 4. Locate the Short Lines: Do not just wait around for your fast passes to become active, look on the Disneyland app or even on the park maps and find some rides that are in close proximity to your location and that have short wait times and get on them! You will see and do a lot more if you are proactive. We definitely took advantage of the short lines. There was several rides that were easy on my hysterectomy incisions and those lines were amazingly short. Even during the peak hours, we were waiting maybe 10 minutes to get on these or to see a little show. Our kids were content and busy the entire time and hardly complained. 5. Utilize Photopass: The Disney photographers are in every area that you will want to get a picture at. Use them. They will take your photos with their fancy cameras, which you can elect to purchase, but they are always willing to grab your phone or camera and snap them for you as well. When the park is busy, sometimes a little photo break is fun and typically there is no line to take a photo! Oh and bonus, you can now use Photopass on your phone and purchase something called Max Pass which gives you access to all the photos they took in the park for something ridiculously cheap. 6. Prepare for a Detour: Like I said above, I am a huge proponent of character dining because you do not have to give away your ride time to character picture lines, however, I will say that if there is not a line and the characters are in your path to your next adventure, stop and snap a photo! Live in the moment and know that even though you have a plan, something will detour it a bit and it is easier to go with the flow. I have a very awesome story to share in the next couple weeks of a HUGE detour that involves a fire, evacuation, going BEHIND THE SCENES at the park and some really awesome cast members. The photo above just happened. 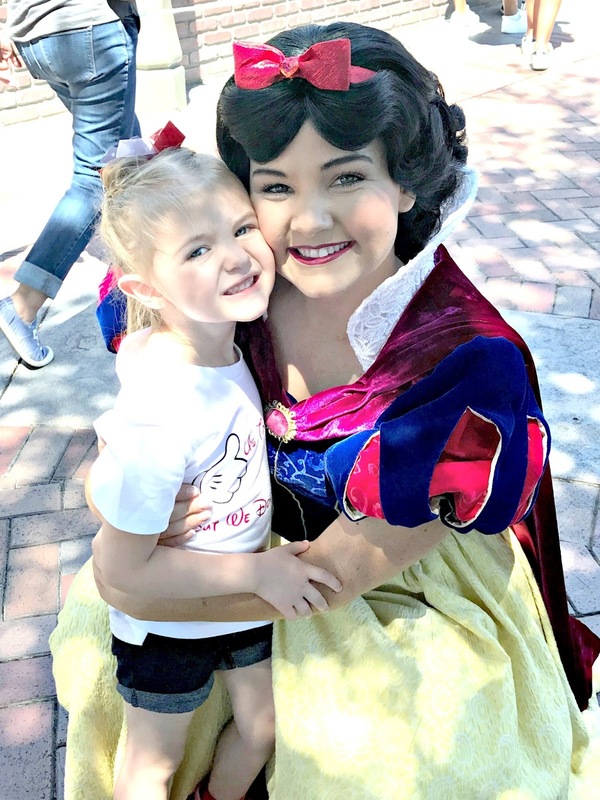 We were on a potty break for the boys, and Snow White needed to set up shop where we were sitting, so she approached my little girl and asked for a photo, all while mom got the hint that we needed to shift over a bit. This is pretty much all my daughter has been talking about since we got home. Pretty sweet detour if you ask me! 7. 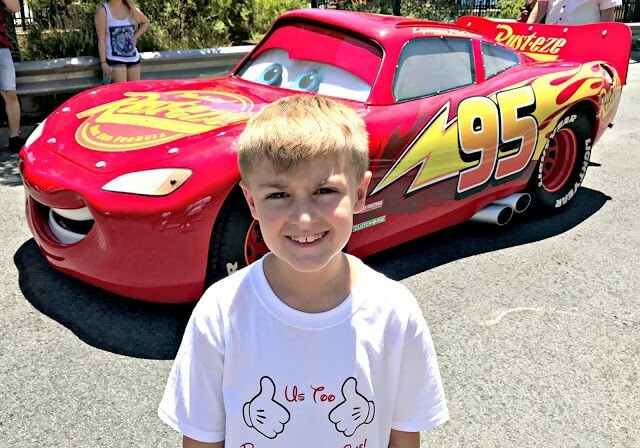 Prepare your kids for a long day: If you have one day, and two young kids and you know their temperament is not going to have them last for 12-16 hours in the parks, then prepare accordingly. 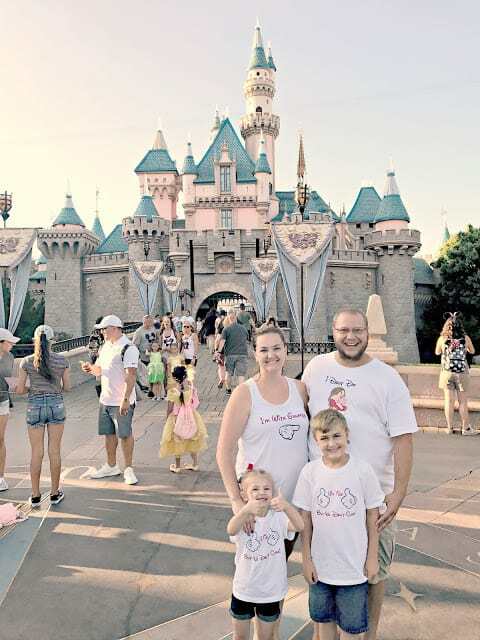 We saw far to many upset kids who were overtired and parents who were frustrated and overwhelmed with the amount of people and the sheer exhaustion that can set in when you are navigating all that Disneyland has to offer. A year ago we would not have been able to take this trip with our kids. They would not have been able to hang and the little one was even more unreasonable than she is now. We told the kids that the day would be very long, but it would be very fun. We also let them know that if they were done and wanted to rest, that we could go back to the hotel and nap or find something to do to relax in the parks. What we found was that allowing them to have a little say and preparing them for the long day was actually great motivation. If they got tired of walking, we had a stroller they could sit in, if they wanted to just sit for a bit we found some shade or took in a quick show, if they were hungry we fed them essentially whatever they wanted (maybe not the best idea, but it was fun). The key was that we kept them busy and moving and that we also listened to what they were saying to us. We only heard them tell us that they were tired one time and it was at 10:30 pm when we had been in the parks for 14.5 hours and we were all tired. The Disney high is real people and I am certain my kids caught it. 8. 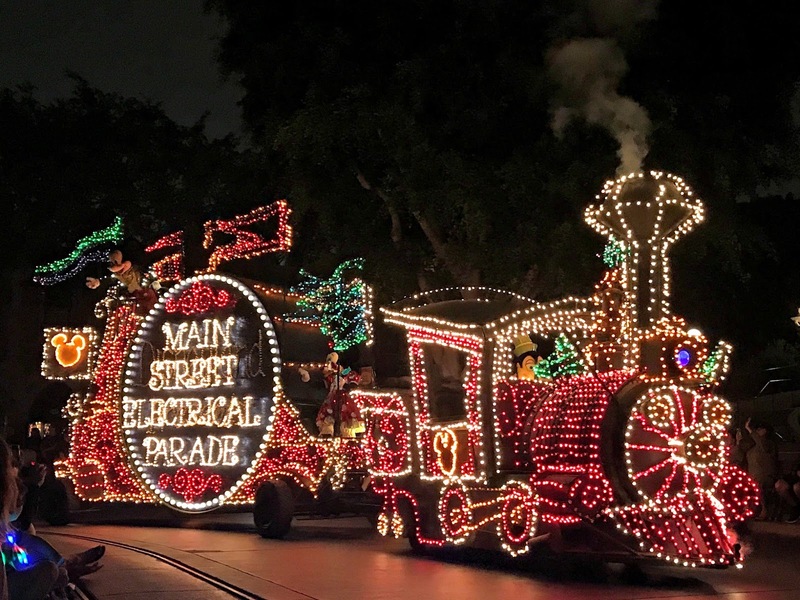 Get Reserved Seating: If you are going to watch the parades or the World of Color, you need to get reserved seating. 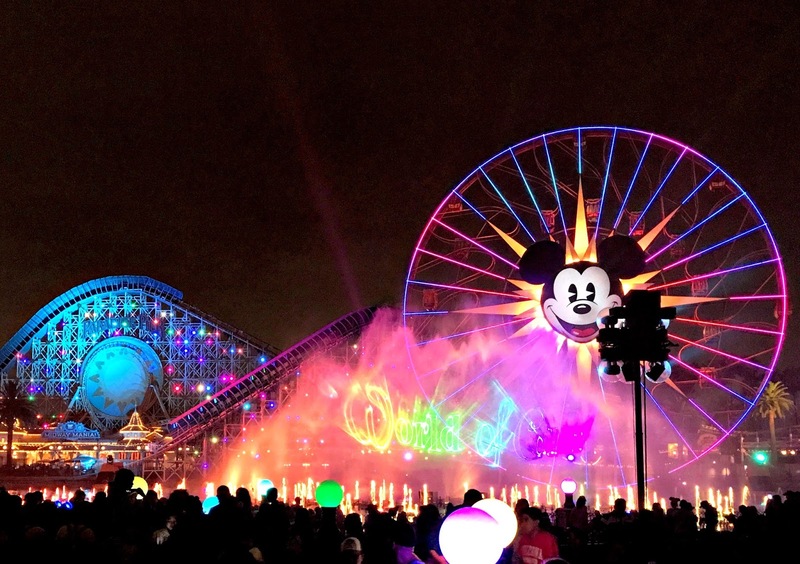 With the World of Color you basically get a fast pass which gives you an area to be in to watch the show. This is great because you have a place to go, you can spend a little extra time on rides and then you can just go check into your reserved seating area and watch the show. Number two on our absolutely must do list was the World of Color. This is one of the most beautifully orchestrated shows that Disney puts on. We have seen nearly all of the Disney evening shows and World of Color gets me every single time. For the evening parades and fireworks (and World of Color), you can get reserved seating with the dining packages. Just call Disney dining and they can set you all up. You might pay a little extra, but if you are limited on time, and the park is busy, by the time the evening hits and you are exhausted, that won’t even matter, you will be done fighting the crowds and oh so thankful that you have reserved space to take in the final moments of your magical day! We had an absolutely amazing time in the parks and are so glad that we went in with a plan, prepared for a detour and walked away with some memories we will never forget. It was the perfect way to end our summer and will be a hard vacation to beat in the future! Bonus Tip: Surprise your kids with FREE mail from Disney! You can read more about that here. Do you have any tips to add? Leave them in the comments!